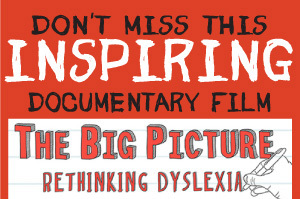 Children suffering with dyslexia experience failure on a daily basis and most will notice the other children around them are able to do the work which they are finding difficult. The child’s self-esteem quickly diminishes and they begin to refer to themselves as “dumb” or “stupid.” It is the conclusion that anyone would reach in similar circumstances. This self-doubt must be addressed before any corrective teaching is going to be effective. At the Alison Lawson Centre we focus on improving the child’s self-esteem. As they progress through the program and see positive changes in their abilities, confidence is boosted and often the child begins to show an increased interest in learning. The difficulty with dyslexia is that it is not visible. If a child had a broken leg everyone would understand, giving them extra considerations such as excusing him/her from sports. It seems so straight forward; the child cannot run because their leg is broken! Why then can we not say the child cannot read well because they are visually dyslexic and cannot perceive the words on the page correctly? Broken legs and visual dyslexia do not impact on a child’s intelligence; both are a physiological problem that with care and treatment can be mended. To assist your child in remaining positive it is important to draw attention to their individual strengths. Most dyslexic people have strengths in the areas of physical co-ordination and/or creativity. They often show remarkable social skills as they have a high level of empathy. It is important to point out to a dyslexic child that although the children within the classroom may be good at literacy, they may lack in these other areas. Confidence does not come overnight and requires continuous nurturing. Use praise, gold stars, special treats and certificates for both non-academic and literacy based tasks; rewards can be achieved for performance in all areas not just for reading and writing. Also remember to reward effort not just success. Willingness to be involved in activities, performances, clubs etc. 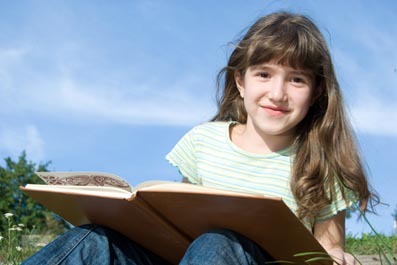 Self-esteem is the vital characteristic that dyslexic teenagers need, but often lack. At home is the best place for them to receive the support and encouragement they need. Freedom from pressure is very important and a stress-free environment is more easily maintained at home. As a parent you can build up your child’s confidence by praising their efforts and showing them that you enjoy there company. There will come a time when, in order to become successful adults, dyslexic teenagers must recognize and accept their unique combination of strengths and weaknesses.